It was time to have nice Friday night out so my wife and I met another couple out at Bin 14. 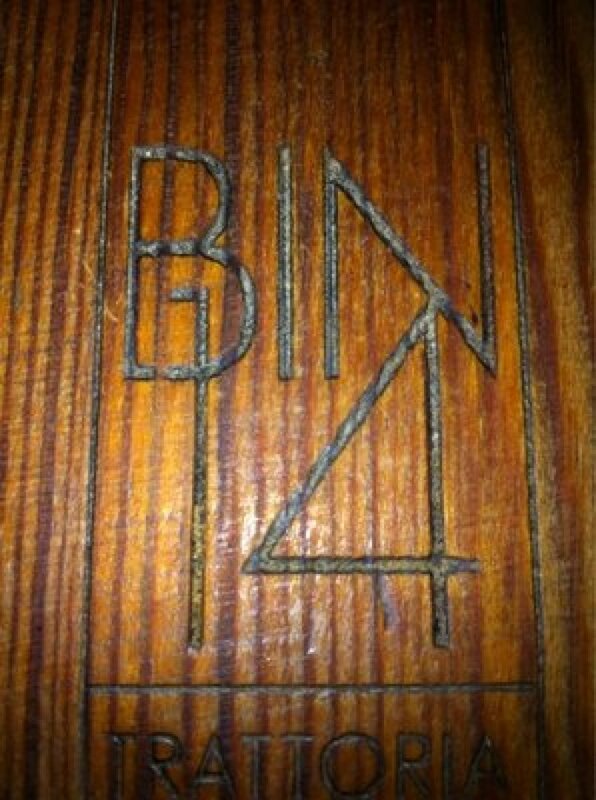 Bin 14 took over the old Kelly’s Pub location on Washington Street between 13th and 14th Street a few years ago. Kelly’s, a classic long-time dive bar, got caught behind in the changing times of the gentrification of uptown Hoboken. They did a big scrub down of the place, making it completely unrecognizable from the old dive bar. We walked into the restaurant, hurrying in from the cold, and quickly got seated. The place is long and narrow, with the bar running nearly the entire length of the place. At the far end of the bar is a partially open kitchen where they cook all types of delicious appetizers, small plates, and a few entrees. 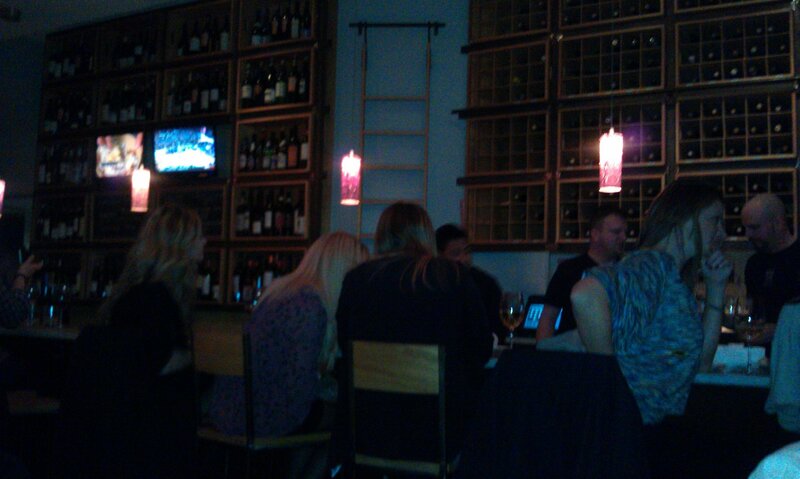 Bin 14 has the same chef as Hoboken’s famous Anthony & David’s so you aren’t sacrificing food to get some great wines. The bar was fairly packed with basically no seats open at the bar and nearly all of their tables occupied. Every few minutes more people would come in and try to grab one of the last remaining seats. 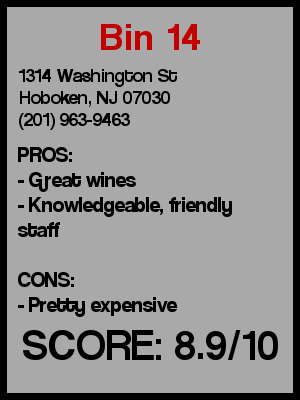 Hoboken does have a bunch of good restaurants but I don’t know if any can match the wine experience of Bin 14. They have an extensive wine list, one that might be wasted on someone like me who can drink anything from two buck chuck to your finest vintages without noticing too much of a difference. 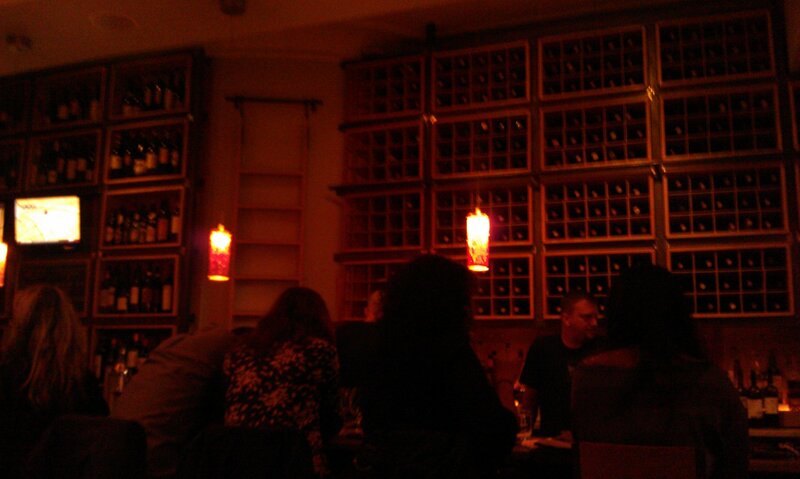 The bottles vary in price and they have over 100 different bottles and nearly the same amount of wines by the glass. You can tell a place is classy when they bring over one of the wines they have as a special and give you a little taste. They also seem to encourage patrons to find a wine that fits their palette by offering 2 oz. glasses or even wine flights. That seemed like a different experience than most Friday nights so we ordered some wine flights. 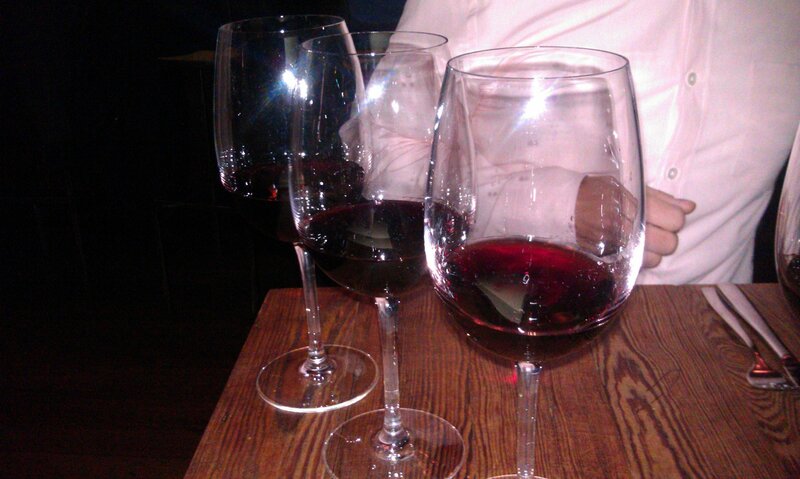 I went with the Chianti wine flight and was happily rewarded with three great tasting varietals. What struck me as one of the best aspects about Bin 14 was how knowledgeable the staff was. I don’t know if the person who served me my wine was a sommelier or just a normal waiter, but he asked us how familiar we were with the wine we had chosen and if we would like to know more information about it. Being the sponge for information that I am, I asked him to speak a little about the wines that I was about to drink. He explained the difference between the different Chianti regions, going into the history of Chianti Classico and then the “upstart” Ruffino, and then the other Chianti sub-regions and their distinctive tastes. As I enjoyed my Chianti flight I paid extra close attention to the subtle differences to the wines. And while I certainly enjoyed all of the wines the same, I definitely could taste the differences between each of the three wines that I had. After a delicious meal and discovering a few new wines, it was time to get up and go. In fact we didn’t have much of a choice. Bin 14 has three assigned seatings and you are politely urged to get up from your table when the next seating arrives. In fact I kinda like that policy since it keeps people from hogging the tables forever. With the bar pretty much packed, we headed back outside but Bin 14 made for a good night out. Preconceived notion – Always seemed like an upscale place and I had heard a lot of good things from people who have been there. Value – Some of the wines on special might be good deals, but it’s always tough for me to tell considering how much of a markup restaurants put on bottles over retail. It’s definitely not a cheap night out. First or last drink of the night – Always good to start or end with a nice glass of wine. Overall - I know some people resent the gentrification of areas. You lose the neighborhoody, classic bars that have served the working people and bring in a fancy new whitewashed experience. However, times do change. The factories and the ports aren’t open anymore so places are going to turn over to satisfy the new clientele. So out went Kelly’s and in went Bin 14. And nothing characterizes the good about this social turnover than a place that takes pride in good food, good wine, and good atmosphere. Bin 14 is progress in my book. I’ll give it an 8.9.